Extremely flexible family, let us drop our bags off early, and pick them up after check out. SO CLOSE to Fushimi Inari and the train station is super close as well. 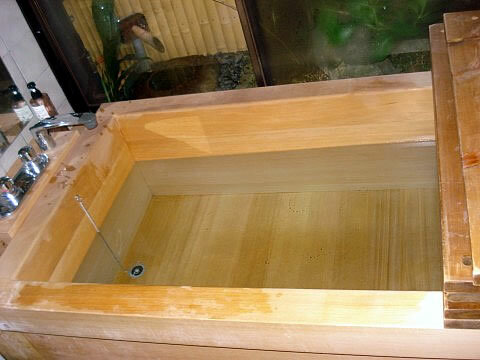 The bath was absolutely wonderful (a huge wooden tub) and perfect after a long day of urban hiking. The family’s daughter was also really great, and talked with us for over an hour! We had such a good time answering questions and asking her questions and giving each other vocabulary lessons. We will definitely stay there again. 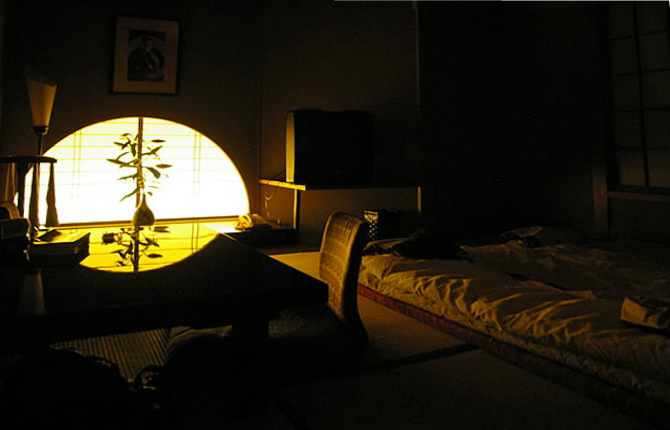 This Ryokan has spacious and comfortable rooms, making you feel at home. The host family were very welcoming and looked after us attentively. They are humble and very friendly. We had green tea and snacks on our return everyday, also a little parting gift as well. It is fabulous base only two stations away from Kyoto. This is a same train line for Nara dears. This place is only 3 minutes away by foot to the station and again same distance to the Fushimi Inari Shrine. It is one of the best shrines we saw in whole Japan. This traditional Japanese house is immaculately clean and they have a cat. Air-con was a life saver during the heatwave. We stayed there for 3 days. They had a beautiful cedar bath and wet room with enclosed garden view. This is a nice place and the staff was nice too. There was a bit of a mix up on the day I was supposed to stay there and she didn't think I was staying there. I stayed calm and she talked with people from Japanese Guest houses and sorted everything out. I rated a 1 for food because I did not eat there and there was no "not applicable" option. The room was exceptionally clean!! I could have used another futon or layer under me while sleeping because I found it quite hard and hard to sleep. 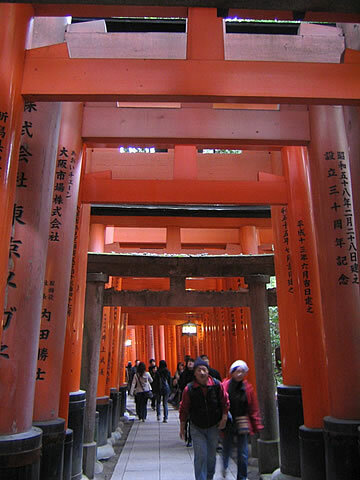 It is very close to the famous fushimi inari jinja (maybe a 5-10min. walk). The shrine was extremely!!!! crowded during the day and I didn't like it too much (I had already been there 20 years ago when it wasn't so crowded). Once it got dark (around 5pm) most of the people left. I then had a really nice ramble around the mountian through the torii and such.It is easy to get lost and a little spooky (if you frighten easily). My night time ramble (there were only a small number of people about, mostly teenagers) was one of my favorite experiences on my trip to Japan and brief visit to Kyoto. We stayed at Karatachi for 2 nights and we loved it!. It's very close to Inari Taisha, and has a very nice atmosphere. The family is very friendly and attentive. Can't wait to return! I absolutely loved staying at Karatachi. 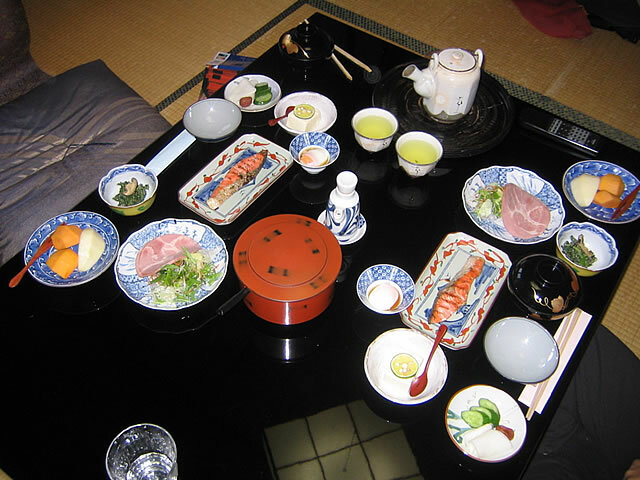 The ryokan is very traditional but it's also managed by a japanese family living there. So I didn't feel like a guest but a family member, and that moved me to tears, because I was a female solo traveler, and they made me feel welcome. It looked like home. The ryokan is very close to JR Inari Station (short train ride from Kyoto station, it just stops at Tofukuji first before arriving at Inari). The room was lovely though a bit old. Toilets were nice and modern, and the bath was traditional and nice too. The breakfast was home cooked and it was the BEST breakfast of my life. I will never forget this experience. Mikayo, Karen and Toshiyuki could not have been more friendly, helpful or welcoming for the 8 nights I stayed with them in Kyoto. 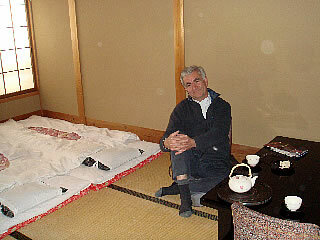 I enjoyed my stay very much in a large, attractive and immaculately kept traditional Japanese room, and the cypress tub was relaxing. The location is excellent: very close to Inari Station, 3 stops from Kyoto station, very close to the renowned Fushimi Inari Shrine, one stop from the Tofukuji Temple. I highly recommend this ryokan for your Kyoto stay. Karatachi Ryokan was a great place to stay in Kyoto. Kyoto is a wonderful city with many places to visit & explore. Karatachi is a convenient base from which to do so. It is not in the centre of Kyoto but is only a few minutes away by train. There are 2 train stations! Within 2 minutes walk is the beautiful Inari shrine. 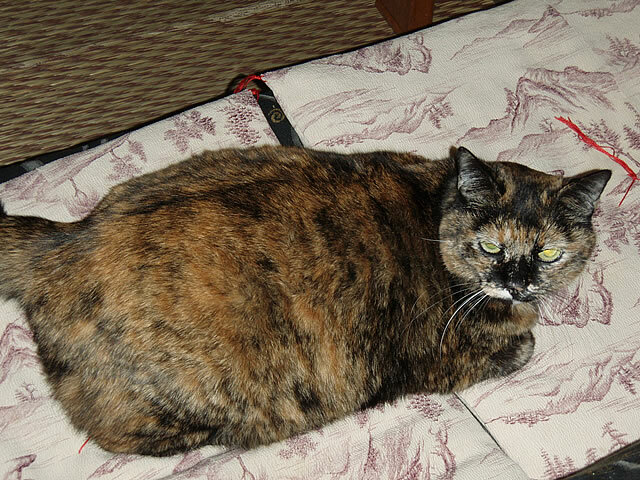 Miyako and her family were all so welcoming, friendly & enthusiastic. Tea with fruit or cake was beautifully served every morning and evening. The ryokan is simple & clean. Staying here was a great experience! Thank you. This was my second stay and this time I was with my sister. She loved it as well. 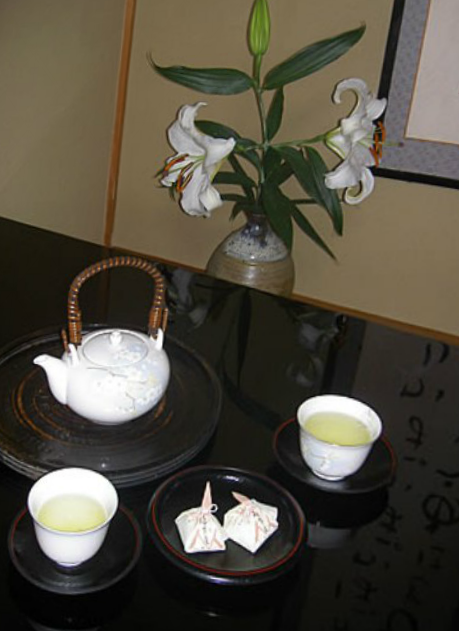 The owner is so kind and friendly and we loved the tea and the rice cake on arrival each day. Everything is so clean and well set up. Location is great close to Inari station and Fushimi-Inari shrine. I will stay again. It was our first time staying at a ryokan. The hosts were very friendly and the location is excellent. It was a very unique and interesting experience. Don't be misled by Karatachi's unassuming exterior. We were warmly welcomed by Miyako and enjoyed snacks and tea while chatting with her, despite the language differences. She was attentive and enthusiastic throughout our three night stay, efficiently managed the shower schedule, and is a wonderful cook; we enjoyed beautifully prepared breakfasts every day. The rooms and shared toilet were impeccably clean, and, although there was no bath to soak in, the shower was very comfortable and has a charming enclosed garden view. As noted in other reviews, Karatachi's location is excellent, with two train stations just minutes away. 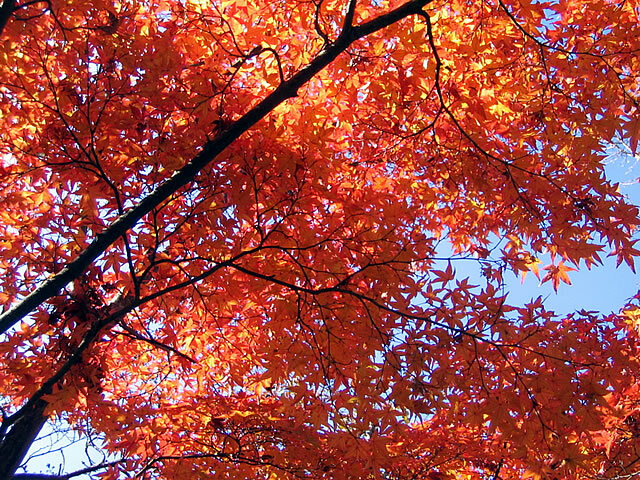 It's a great base to explore Kyoto yet be out of the city center. We are a family of four who spent two nights here. We were given a very warm welcome on our arrival and looked after attentively during our stay. 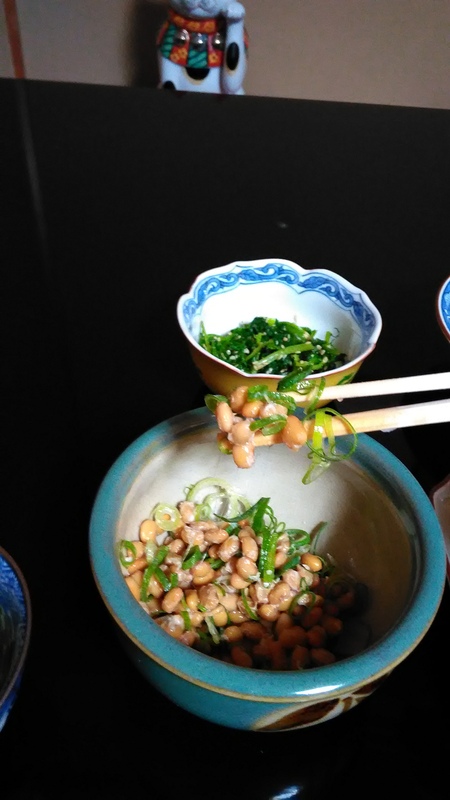 The location close to public transport (direct to Kyoto for further sightseeing), was central for visiting the nearby strine and nearby a wealth of eating places during the day and evening. 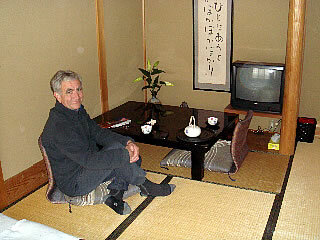 The host family made our stay the most memorable and enjoyable of all the places we stayed in Japan. Thank you, ladies. Karatachi ryokan is a very nice place to spend some days. We spent five days there since Kyoto is a very nice city and offers a lot to do. If you plan to visit other places (Uji, Nara, Osaka for instance) then you should definitely stay a week. 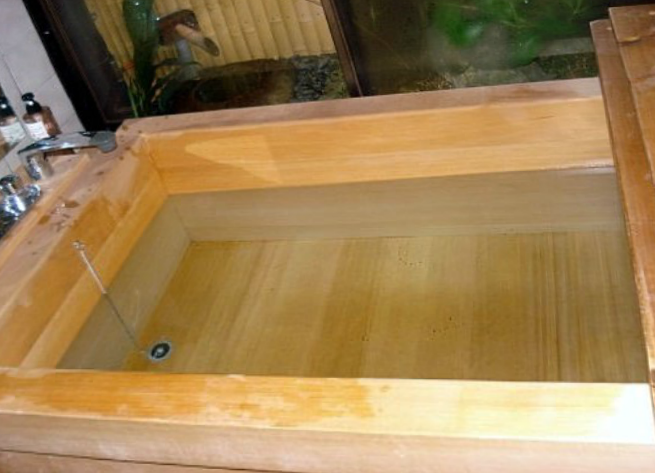 The ryokan is located in a small house and has a shared bathroom and a shared shower, japanese style. We haven't had the opportunity to enjoy the breakfast prepared by the owner (probably we had a misunderstanding while booking) but as far as we saw, it seemed delicious. The owner is very kind and speaks little english. 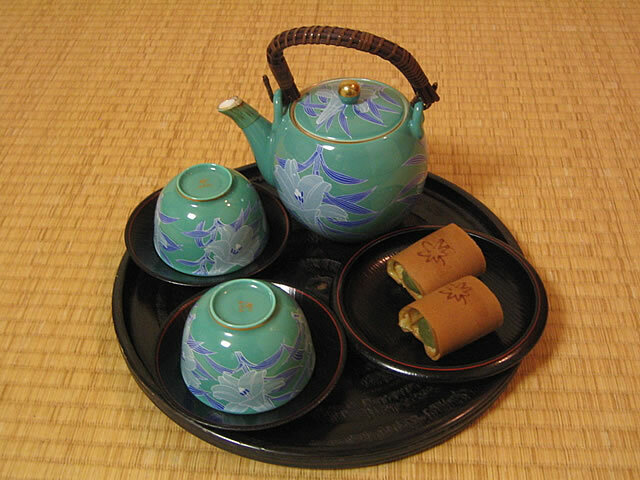 She prepared japanese tea every evening and offered us yogurt or fruit as very small breakfast. 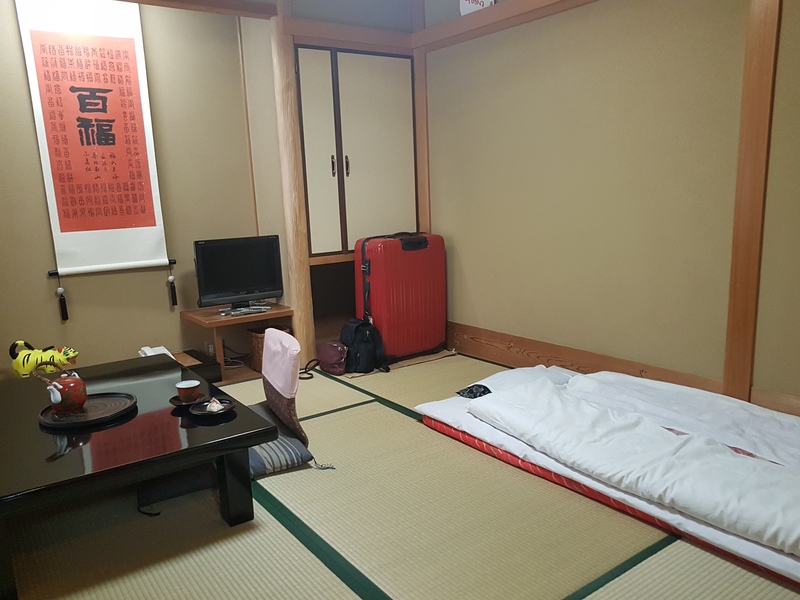 The ryokan is four minutes walk from the Fushimi Inari JR Station and one minute walk from the Keihan Line, Fushimi Inari station (that you can use to reach both Nara and Uji, for instance). Also it is three minutes walk from the Inari Shrine which is a big and very beautiful temple. In the morning the neighbourhood is quite crowded because of tourists visiting the shrine and in the evening it may be difficult to find dinner since the restaurants near the ryokan close around 5-6 pm. In any case the Inari JR Station allow you to reach the Kyoto central station in 15 mins. There you can find restaurants in the upper levels of the station. The ryokan is definitely recommended! I have to give a rank to "Food" even though we havent enjoyed it. 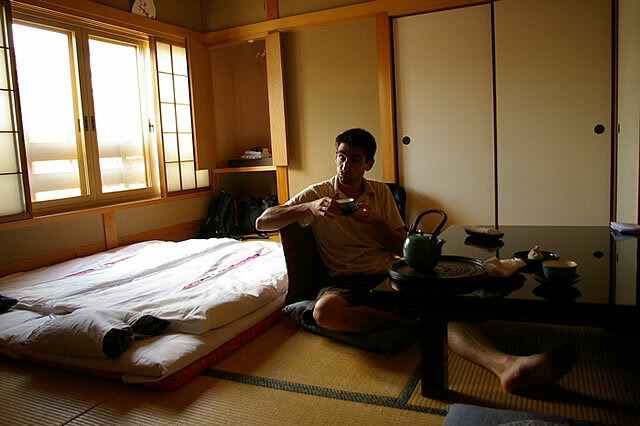 Stayed in Ryokan Karatachi in Nov 2013 (2 adults and 2 kids)during peak season and found ourselves very lucky as all accomodations were booked in Kyoto (red leaves period). Lovely staff, not speaking english very well but always ready to help. My daughter got sick and the owner brought me with her car and explained the problem to the drugstore so that I can get medicine. Located just next to the wonderful Fushimi Inari Temple and really 10 minutes from Kyoto station by train (there are trains very often). Breakfast is not really worth the price and there are coffea shops very nearby. I strongly recommend this ryokan! 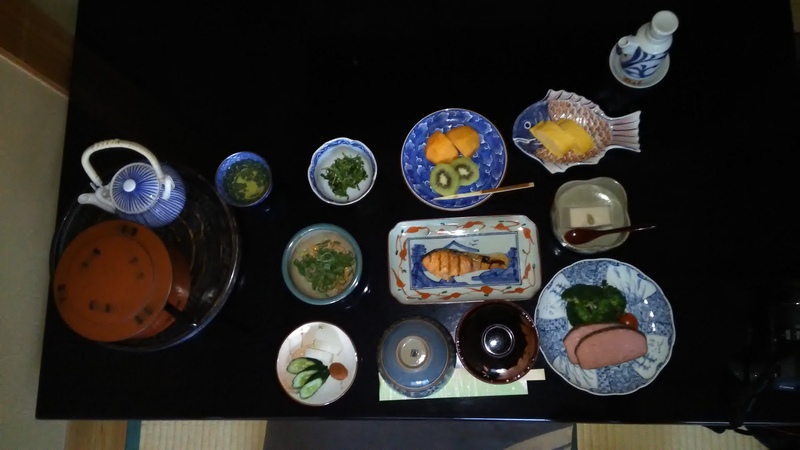 We stayed in Karatachi for one night to experience a ryokan. Everything was fully booked in Kyoto because it was the start of the Cherry Blossom season. We are a family of 3 (2 adults and 1 child) and were given a spacious family room on the ground floor. The staff/family were nice and accommodating despite the fact they hardly spoke English. (Mikayo was sweet and her daughter Karen were sweet ! ) You can sense their sincerity to truly make you feel at home. The location was great if you wanted to tour the Fushimi Inari Temple and the Inari JR line was only 10 mins away from Kyoto. 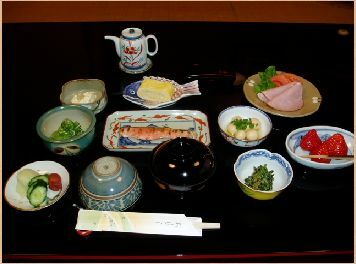 We didn't opt for dinner in the ryokan as there are many options in Kyoto and breakfast was typical Japanese style. Charming Ryokan ! We spent four nights at the Karatachi in April 2014. There were four of us (two adults and two kids), and we had two spotlessly clean and comfortable rooms. The family was extremely friendly and accommodating, and we felt very welcome in their home. Would happily stay there again the next time we return to Kyoto. I, my girlfriend and my parents spent four nights at the Karatachi in April 2014. We had two spotlessly clean and comfortable rooms. The family was very friendly and very accommodating. The location is great, in a very typical small town close to Kyoto by train and just next to the beautiful Fushimi Inari Temple. There are two train stations close to the Ryokan for a quick access to anywhere. 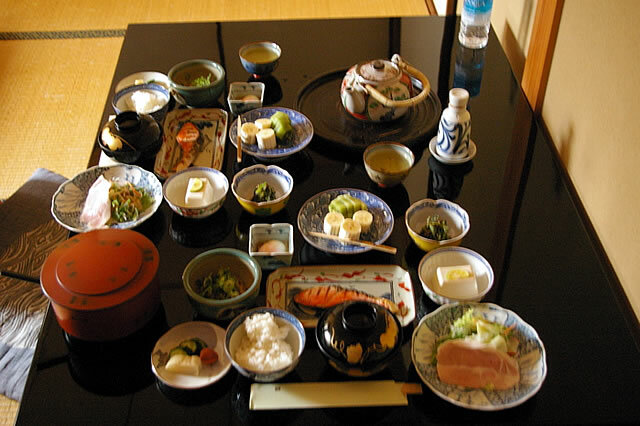 We recommend to try the traditional breakfast once during your stay. It's pricey but totally worth it. 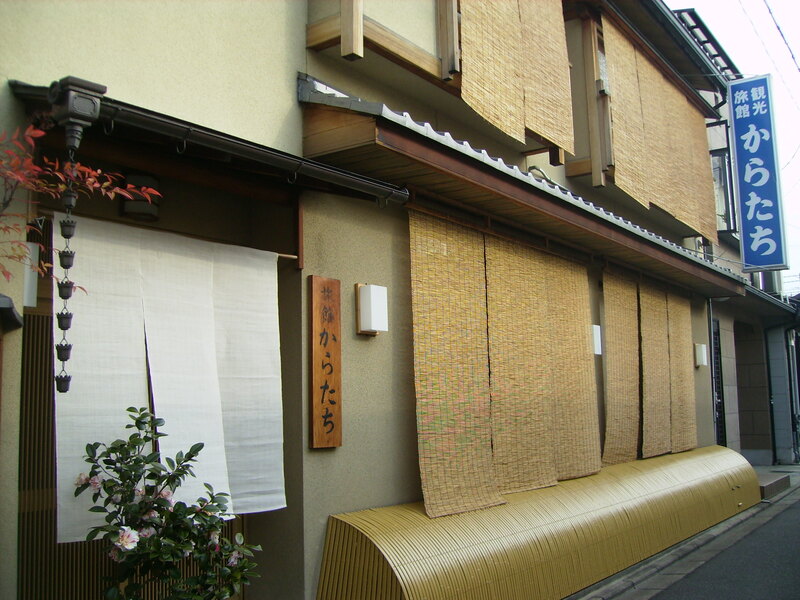 We had a great stay in this Kyokan and we strongly recommend it ! My partner and I stayed here; Karatachi design is very inviting and humble which reflects the people living in the household. The rooms were comfortable to sleep in. We didn't book meals but feel we should of. 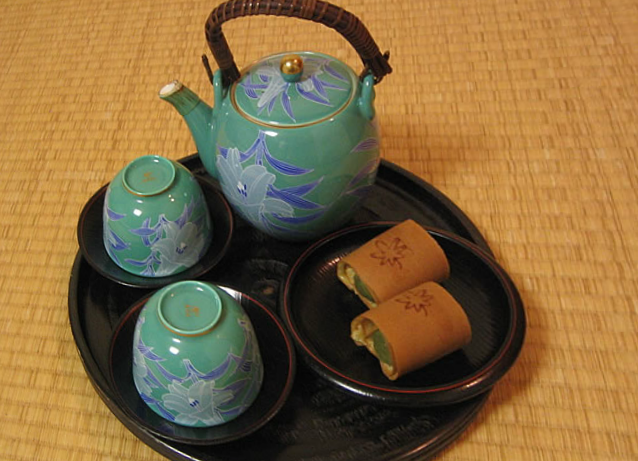 However we received complementary Japanese tea and treats every day. I was nervous before we arrived about how the bathroom arrangement would work however it was a nice arrangement. 1 Bathroom for the household, it was private with a pretty little adjoining garden. Would have been better if each room had a bathroom but staying in a Guest House as opposed to a Hotel, there are some limitations. There are shared girls and shared boys toilets. When we first arrived we had some difficulty finding the place. It is located right next to the Keihan fushimi Inari station train station (around the corner to the JR station), about 10 meters down an alleyway next to a car park. Very close to the famous fushimi Inari shrines and park. I was pleassantly surprised by the ryokan. The owners (daughter & mother) are very sweet, extremely polite and accomodating. 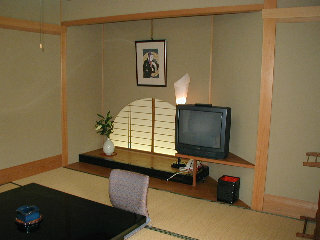 The ryokan itself is very clean, and close to transport links. The shared bathroom was spotless and never had a problem with it. The rooms were clean, the aircon a lifesaver and the tea every morning/evening a really sweet touch. Recommended! 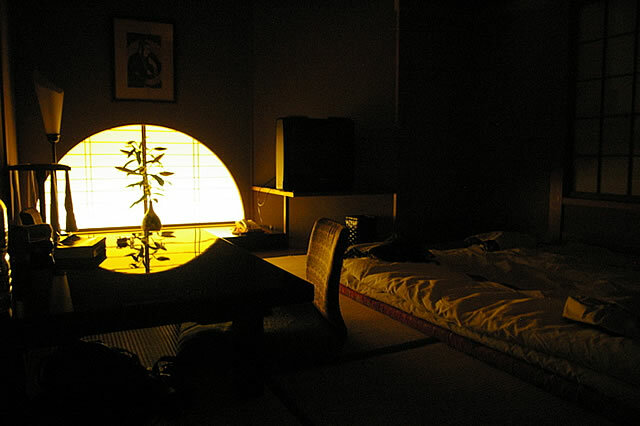 Nous avons passÃ© 6 nuits dans ce ryokan. Tout Ã©tait parfait de la chambre au petit dÃ©jeuner trÃ¨s fin et subtil. le ryokan est situÃ© Ã proximitÃ© des centres touristiques, centre ville et trains. Accueil Ã la japonaise, cad trÃ¨s attentionnÃ©. Bref, je recommande en prÃ©cisant que nous Ã©tions avec un bÃ©bÃ©. My friend and I stayed at Karatachi for a night. It was a lovely experience of a local homestay. The 2 landladies were very warm and welcoming. When we left, they stood outside the house and waved good-bye until we turned the corner. Everything was very clean and spotless. I was a bit apprehensive about the shared shower/bathroom with the whole house but it was fine. The landlady coordinated our shower times so we only went down when it was available. The shower room was spacious as was the bedroom. There were 2 sinks outside the gender-specific shared toilet and there were even disposal toothbrushes provided. Karatchi is 2 stops (4 min) away from JR Kyoto station but we found that the Keihan line was also very useful in accessing the Kyoto sights (particularly on the east side). The Keihan Fushimi Inary line is actually just 1 minute's walk from Karatachi (closer than the JR Inari station) and we used it to access the Higashiyama area and also Nishiki Market. Our bedroom was facing the Keihan line so you can hear the trains as they go by. It didn't bother us but people who are noise-sensitive might want to stay in one of the inside rooms. What a wonderful stay. Great location, comfortable inn, delightful family. Could not have asked for more! Cannot wait to return!